Electrons and holes gang up to act like a single particle dubbed a collexon. 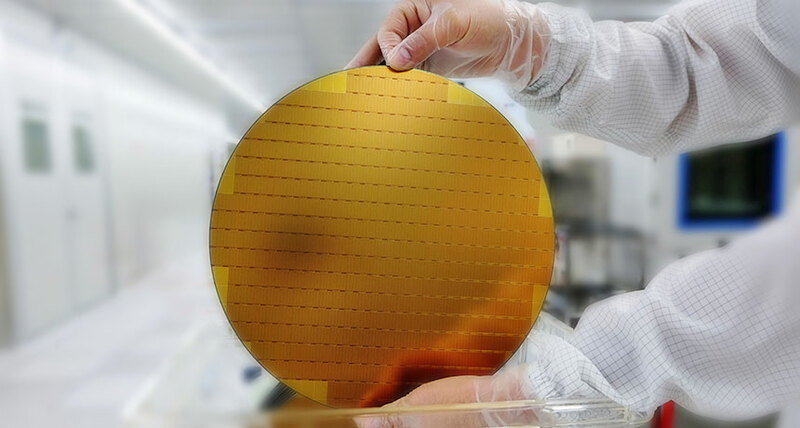 HIDING OUT A new quasiparticle known as a collexon hints at complex interactions among quantum particles in semiconductors, such as this silicon wafer. There's a new clique among quantum particles in a semiconductor. Electrons and positively charged holes in the material's atomic lattice band together to create a tight-knit posse dubbed a collexon, researchers report July 26 in Communications Physics. This new class of quasiparticle - a quantum clan that acts like a single subatomic particle — could help researchers better understand semiconductors, which are essential to most modern electronics. The collexon is similar to a quasiparticle known as an exciton, a pairing of an electron and a hole (SN: 5/17/14, p. 5). While these pairs go it alone in excitons, electron-hole duos in collexons join forces with the surrounding sea of electrons, Christian Nenstiel, a physicist at the Technical University of Berlin, and colleagues report. The researchers made this discovery when they inserted germanium atoms into a gallium nitride semiconductor, and zapped the material with a laser to see how it emits light. In similar experiments, emissions from excitons faded as the number of impurities, such as the germanium atoms, increased. But this time, at high concentrations of the introduced atoms, light shone at different wavelengths than seen with the excitons. The team deduced that large numbers of wandering electrons, introduced by the germanium, helped stabilize excitons to form the new type of quasiparticle. It's too early to predict applications, says study coauthor Gordon Callsen of the Ecole Polytechnique Federale de Lausanne in Switzerland. The discovery instead suggests that researchers underestimate interactions among ensembles of particles in semiconductors. "Lots of interesting physics is still waiting for us, he says.